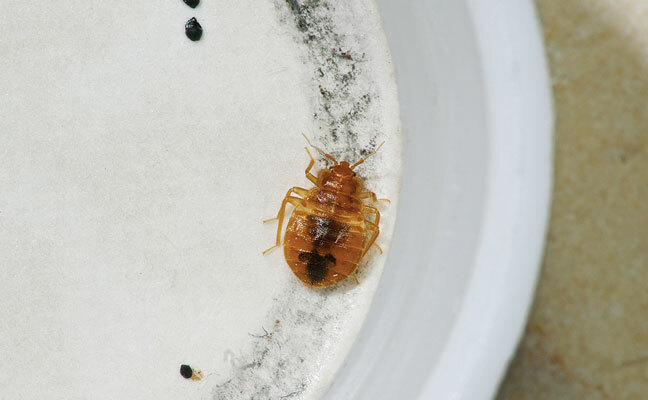 Other non-chemical methods of bed bug control are available, including fumigation, steaming and freezing. All have proven results from field studies. You should analyze any treatment method to see whether it fits your company’s product offerings and culture. Offerings even vary within the categories of heat and chemical. Multiple types of heat equipment are on the market, from electric generators to propane generators to glycol generators, to working from the power source available in the structure. Some companies will provide one standard follow-up service call after the initial treatment; others will return until there are no longer signs of activity. The key is to make sure that, as a company, you do your research and select the option that best fits your culture and your business. ⦁ Bed bug interceptor devices, while primarily thought of as monitors, have been shown in some studies to also be useful in controlling isolated bed bug infestations. ⦁ High-powered vacuums can physically remove the bed bugs from the premises. ⦁ Steam cleaners are another form of heat treatment that can be useful in certain areas, such as furniture. ⦁ Pressurized carbon dioxide (CO2) “snow” freezes the bed bugs at a temperature of -108°F. ⦁ Mattress encasements are designed to protect users from bed bugs establishing a foothold in mattresses (and box springs, if used on them, too). The encasements also can prevent bed bugs from escaping an infested mattress or box springs. SOURCE: Virginia Department of Agriculture and Consumer Services’ bulletin, “Non-Chemical Bed Bug Management,” written by Dr. Dini Miller and available at VDACS.virginia.gov/pdf/bb-nonchemical1.pdf.